A New Year’s resolution is a tradition, in which a person resolves to change an undesired trait or behavior, to accomplish a personal goal or otherwise improve their lives. A New Year’s resolution can also be defined as a vehement decision to make an effort to achieve that which one has been desiring for a long time. Making some New Year’s resolutions is a good thing to do at the beginning of each year. It is a good way to plan one’s year in a bid to make the year a good one and a year to remember for good. However, I am of the opinion that a lot of people make New Year’s resolutions because of the enthusiasm, hope, and excitement that comes with the beginning of each year, and not because they are serious about achieving them. Most people forget their New Year’s resolutions or find them hard to achieve once the days and weeks start rolling by. A lot of people can make New Year’s resolutions, but only a few people can make a conscious effort to achieve them. Making New Year’s resolutions can be likened to that popular phrase: IT IS EASIER SAID THAN DONE. 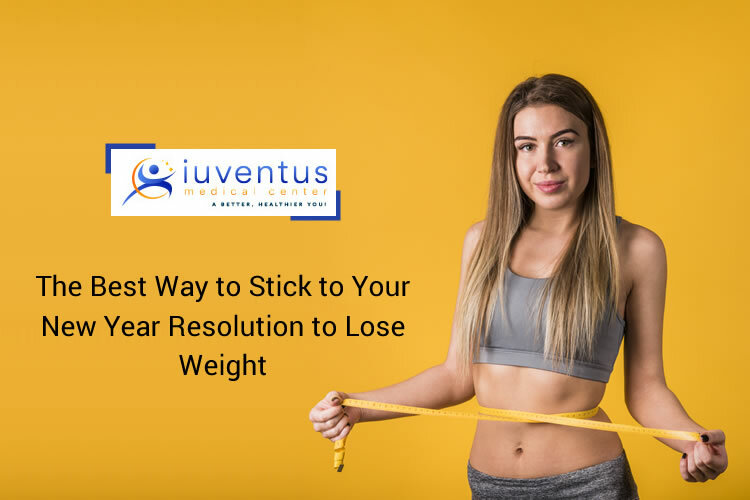 One of the common New Year’s resolutions that people find very difficult to achieve is the resolution to lose weight. People who decide to lose weight are not only the people that are obese, they also include anyone who is not satisfied with their weight and would like to lose some of it. The best way to stick to your New Year’s resolution to lose weight is to make a plan and ardently follow it. Your plan should not be very hard to follow, but it should contain sacrifices that you must make. A lot of people fail to achieve their New Year’s resolutions because their goals only seem easy to achieve on paper. Your weight loss goals must be attainable. For example, deciding to stay away from your favorite foods is quite unattainable; however, deciding to avoid your favorite foods more often than you do now is attainable. Make a list showing what you stand to gain by achieving your weight loss goals and what you stand to lose if you fail. Duplicate this list and keep them in places where they will always be in your face. This is a good way to keep yourself on track. Putting inconsistent effort to achieve something helps you achieve that thing quickly. To lose weight, you must be ready to stick to your new healthy habits, such as exercise and eating right. Putting in an on-and-off effort will either prolong the time to your goal or make your goal unachievable. The things you do to lose weight are things that you are not used to; therefore, do not beat yourself up over occasional slips. Do the best you can each day and keep going until the weight you desire becomes yours. All Listed elements and tips above will help you plan your weight loss strategy. Sign up to stay informed about the latest treatments to help you look and feel your best.